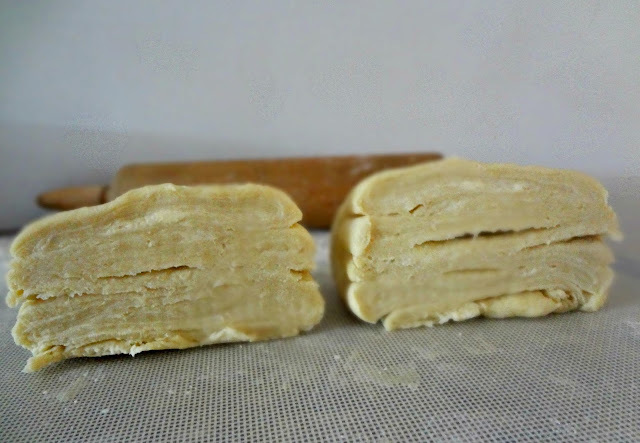 From Annie's Eats "How to Make Puff Pastry"
Makes 2, one pound, blocks. Pulse together flour, sugar, and salt in a food processor. Add a quarter of the butter cubes and pulse until they are pea sized. Add the rest of the butter and pulse until the mixture resembles coarse crumbs. Transfer to a medium mixing bowl. In a small bowl combine water and lemon juice. Add half of this to the dry ingredients and toss. 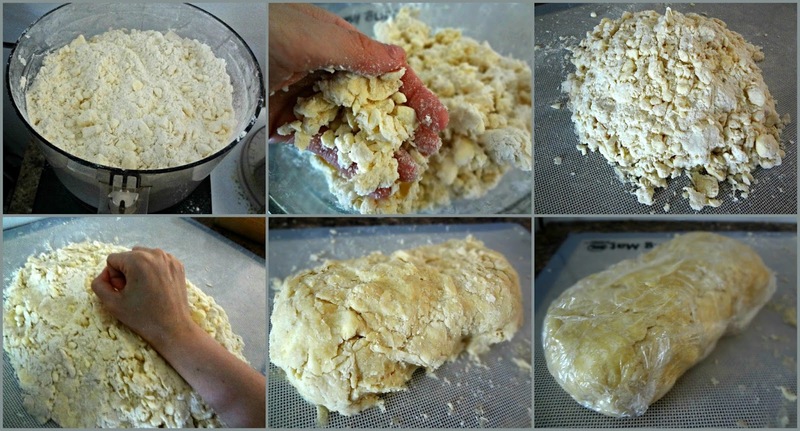 Add rest of the liquid about a tablespoon at a time, until the dough clumps together in your hand. Pour the dough onto a work surface (will be dry). Fraisage the dough-brace the heel of one hand against the work surface and drag small portions of dough forward in short, brisk strokes, bringing it together. Gather dough into a mound and repeat the process. Press into an 8" x 4" rectangle, wrap in plastic wrap, and refrigerate for 1 hour. 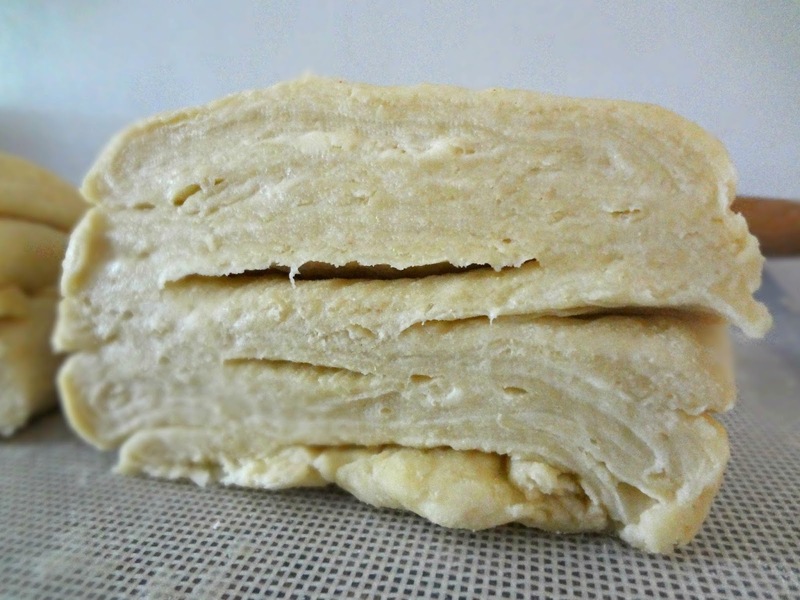 Place chilled dough (if at any point during this process the dough starts to get too warm, cover it in plastic wrap and refrigerate it again until workable) onto a lightly floured work surface and roll into a 15"x10" rectangle. 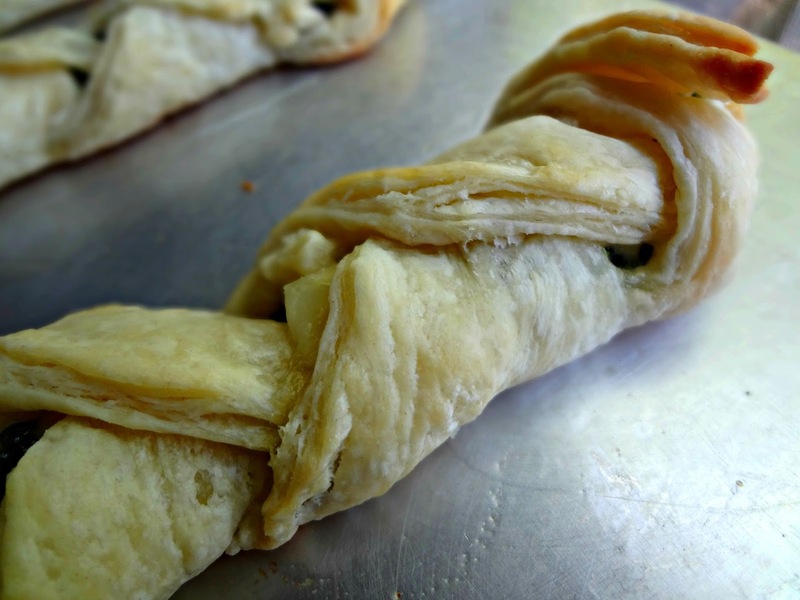 Fold the dough, lengthwise, into thirds (like a business letter). Starting at the narrow end, loosely roll into a coil. Press into a 6"x5" rectangle. After you have pressed it into the 6"x5" rectangle (for the second time) cut it in half to yield 2, one pound, blocks of dough. I just love looking at those layers of dough and butter...ahhh.